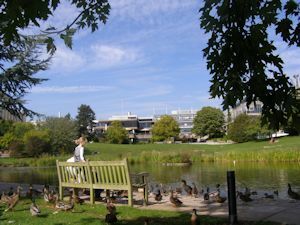 "A close-knit university community in one of the most historic and elegant cities in the world where educational professionalism is at its best"
The University of Bath was founded and awarded its Royal Charter in 1966, but has origins that go back to 1856. It has become increasingly popular with Thai students in recent years and there is now a strong and active group of Thai Bath Alumni. It is one of the very top UK universities and is very proud of its reputation for teaching and research. Being awarded "University of the Year 2011/12" by "The Sunday Times" proved its stature in the UK and it has always been ranked in the top 20 Overall in the UK by "The Times Good University Guide". There are three Faculties: Engineering and Design, Humanities and Social Sciences, and Science, plus the School of Management and the School of Health. Examples of rankings in “The Times Good University Guide 2018” are: Overall (12), Accounting & Finance (2), Aeronautical & Manufacturing Engineering (4), Architecture (1), Business Studies (3), Chemical Engineering (8), Civil Engineering (4), Computer Science (11), Electrical & Electronic Engineering (11), Mathematics (13), Mechanical Engineering (4), Pharmacology (7), Physics & Astronomy (10), Psychology (2), Social Work (12), Sociology (4) and Sports Science (1). 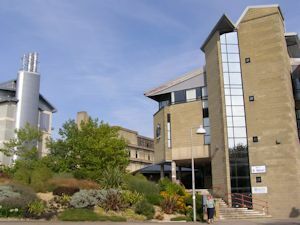 For English language studies the University also has the Academic Skills Centre (formerly Bath English Language Centre) http://www.bath.ac.uk/asc. The Centre offers a variety of full-time Pre-sessional English courses, including Pre-sessional (Management), the most popular of which are 10 and 5 week courses specifically for postgraduate students with degree offers entering the School of Management to do MSc in Management/Marketing/International Management/HRM/MBA courses. There are also Pre-sessional (General) courses of 10 or 5 weeks for postgraduate students with degree offers for other courses. If you have an offer conditional on English and if you have met all the other conditions (accepted the offer, paid the deposit if required, completed your undergraduate degree), and if you have the required IELTS to start the 5 or 10 week Pre-sessional English course, then you can become unconditional for a combined offer of the Pre-sessional English and MSc/MBA and receive a Tier 4 student visa from the beginning of the Pre-sessional to the end of the MSc/MBA – please consult Consortium UK for exact and up-to-date advice on this!! If you do not have the necessary qualifications for direct undergraduate entry then Bath also has several Foundation programmes which are the perfect preparation for studying at Bath (or at other top UK universities). Willa Cather once said, "Some memories are realities, and are better than anything that can ever happen to one again". If anyone asks me about the best decision I have ever made, I will undoubtedly say 'coming to Bath.' My memories of Bath started in October 2005 when I arrived here as a new MSc in Management student. Having lived in many foreign countries far away from my home in Thailand, I was well aware of what to expect when arriving in a new city. However, coming to Bath was different, as I did not know that I was about to embark upon some of the best experiences that I will cherish for the rest of my life. It has been my dream for as long as I can remember to study in an excellent university situated in a beautiful city, and Bath offers me just that. The university ranks as one of the best in England with many top fields such as Management and Engineering. The well-equipped facilities, such as its modern library and state-of-the-art sports village, make the learning environment more welcoming for everyone. The beauty of this world-heritage city also makes the residents here feel happy and content. Being completely satisfied here, I did not think twice about placing Bath as my first choice when applying for my PhD programme after completing my MSc. Nobody knows how grateful I was when Bath accepted me as one of their MPhil/PhD students. The helpful staff encourage me and other students strive to achieve our potential and satisfy the university's high academic standards. Of course being successful requires a good work-life balance, and the students and I are able to find time to go out and enjoy ourselves. Movies, international eateries, and nearby famous tourist attractions such as London, Oxford, and Cambridge - not to mention the nearby outlet shopping mall - all help us to make the most of our spare time. The availability of buses that specifically serve the university also makes transportation very convenient. My time at Bath flies by quickly and happily. I hope that anyone who comes here will love it as much as I do. I can confidently say that my time in Bath is the happiest time of my life. As Marcus Tulius Cicero, a Roman statesman, lawyer, and philosopher once said, "Memory is the treasury and guardian of all things." I will treasure my precious memories of Bath, and use them as a source of strength and support in my personal life and future career. 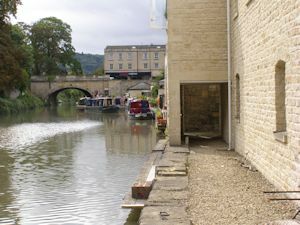 Bath is in Southwestern England near Bristol. 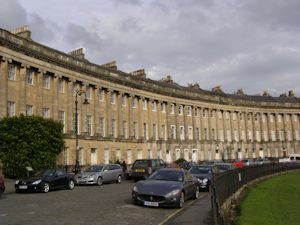 There are few cities that can match Bath for historical interest – it is a UNESCO World Heritage Site, particularly for its famous Roman "baths" (natural hot springs which gave the city its name). As well as being one of the most interesting, elegant and sophisticated cities in the UK, it is a spectacularly beautiful city, which stands on the picturesque River Avon. There is a wonderful selection of top-quality restaurants and historic old pubs, plus a good variety of hotels. The city is surrounded by delightful rural countryside and has excellent transportation links. London is only an hour and a half away by fast and frequent train and it is close to the M4 and M5 Motorways. You can fly from Thailand on KLM/China Airlines via Amsterdam to Bristol Airport and take a taxi direct to Bath, or you can fly to London Heathrow Airport and take either the National Express coach direct to Bath or take the Heathrow Express train to London Paddington and then train direct to Bath. 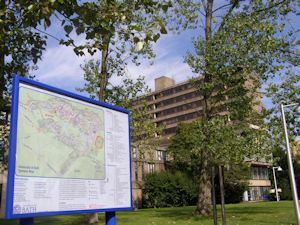 The University campus was completely purpose-built on a green area above the gorgeous city and there is a regular bus service between the two. "My academic career at Bath began as a Master of Science student in Automotive Engineering. 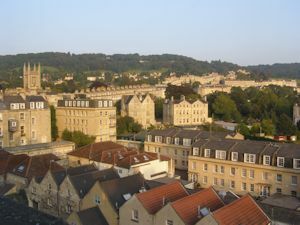 I chose Bath because of its international reputation for teaching and research. Moving from undergraduate to postgraduate studies can be a daunting step. Postgraduate study is different to undergraduate study as the emphasis is very much on self-directed learning. I worried that I would be ‘abandoned’ to work alone. However my course was so structured that I never felt cut off and I was well supported in my academic work. Whilst pursuing my degree I was provided with a very supportive network, which enabled me to adjust to my new surroundings, facilitated my academic growth and allowed me to gain invaluable research skills. I have found lecturers at Bath to be approachable and very willing to support students according to their individual academic needs. I looked at other institutions in the UK but was impressed with Bath’s location and campus. Bath offers excellent resources to support postgraduate study with a well-stocked library and online resources. This has made the transition to postgraduate study both challenging and enjoyable. Another key reason for choosing Bath is that its high quality researchers were also teaching on the course, rather then being wheeled out for the occasional guest lecture! In the past few years Bath has invested heavily in new facilities and accommodation. The superb Library and Learning Centre, in the heart of the campus, is open 24 hours a day, 7 days a week during semesters and boasts state-of-the-art computer services. There is a variety of restaurants and cafes on campus, plus a food shop (including an Oriental shop) and a general convenience store, plus various bars which will show all the top sports. There are 3 banks on campus (Barclays, NatWest & Santander), with branches of HSBC in the city. The English Sports Village (which was used as a training centre for the 2012 London Olympics and University of Bath-based athletes brought back 6 medals from the 2016 Rio Olympics) was opened in 2004 and has excellent fitness facilities, including a 50-metre swimming pool, gymnasiums and outdoor facilities, plus a new indoor sports complex and more multi-purpose sports courts for indoor athletics and tennis. Bath was recently ranked the second safest university campus in the UK. The online application process for University residences is now very quick and easy. All new, single, first-year students are guaranteed a University room (subject to a deadline). There is a wide range of very modern self-catering on-campus accommodation, plus many University properties in the city - many students actually prefer to have accommodation in the lovely city (and then either walk or take the bus to the campus – buses run to 03.00 am!!). Off-campus properties popular with Thai students are Thornbank and Cleveland, which are both near to bus stops. The University is particularly good for its care services. The Medical and Dental Centre offers 24-hour cover. There is a good counselling service with confidential help available, plus a careers advisory service. 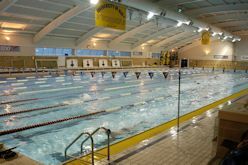 Bath takes its sport very seriously, with outstanding facilities, such as the Human Performance and Fitness Centre. "Bath is one of the most interesting, elegant and vibrant cities in the UK. The University of Bath itself is built on a volcano!!! Inactive of course, but what it does give is the splendors of a panoramic view of Bath. There are also many outdoor activities to enjoy. 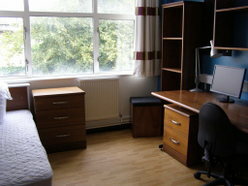 All international students are provided with 1st class accommodation either in town or on campus. Culture seems to be the middle name of Bath; the students are all friendly and willing to help each other no matter where they are from. I now have a global network of friends that I can turn to regularly for invaluable help, information, or just reminisce! The staff and professors in Bath are just as friendly and very supportive; there is minimum student lecturer divide and everyone here works as a team. Whilst studying in Bath, I have thoroughly enjoyed it and I hope that you will too". In Thailand, please contact the official representatives: Consortium UK.